Hiking is awesome. Hiking through gorgeous scenery is even better. We present you the best 15 hiking routes in Europe that will take your breath away! Enjoy. It is considered one of the classic long-distance hiking trails. The circular route is normally walked in a counter-clockwise direction in 11 days. It is also the route of an annual mountain marathon in which the winner normally covers the entire distance in less than 24 hours. Usual start points are Les Houches in the Chamonix valley or Les Contamines in the Montjoie valley (in France), Courmayeur from the Italian side, and either Champex or a point near Martigny in Switzerland. The route passes through seven valleys around the Mont-Blanc massif, an anti-clockwise start in Chamonix would lead through the Chamonix (or Arve) valley, then Montjoie, Vallee des Glaciers, Italian Val Veni, Val Ferret, Swiss Val Ferret, and either the Arpette or Trient valley in Switzerland, dependent on the route chosen. Alta Via 1 is a 150-kilometre-long high-level public footpath which runs through the eastern Dolomites in Italy. 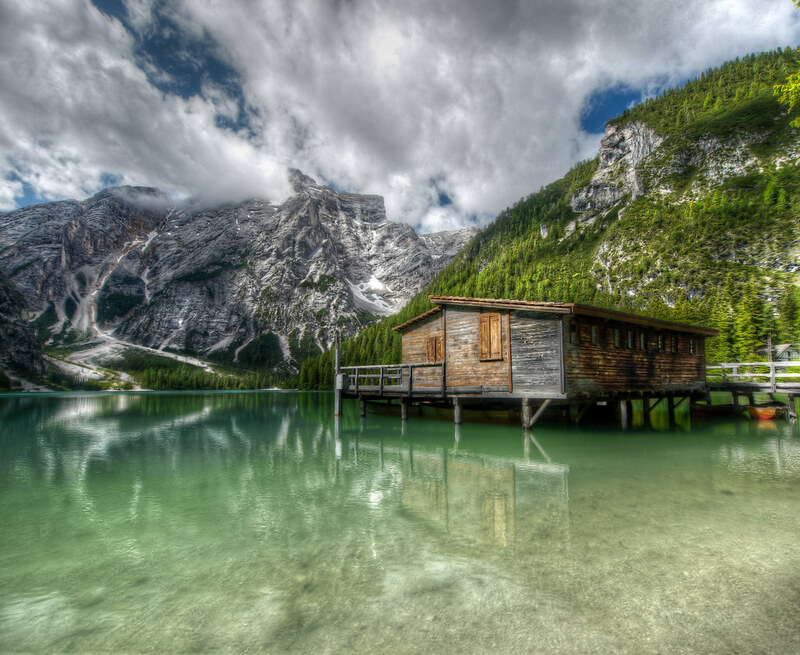 It is also known as the Dolomite High Route 1. It passes through some of the finest scenery in the Dolomites. The path runs south from Pragser Wildsee, near Toblach, to Belluno. Prags can be accessed by bus, and Belluno has both train and bus services. Kungsleden (King’s Trail) is a hiking trail in northern Sweden, approximately 440 kilometres (270 mi) long, between Abisko in the north and Hemavan in the south. It passes through, near the southern end, the Vindelfjällen Nature Reserve, one of the largest protected areas in Europe. In the winter Kungsleden is a ski trail with approximately the same route. 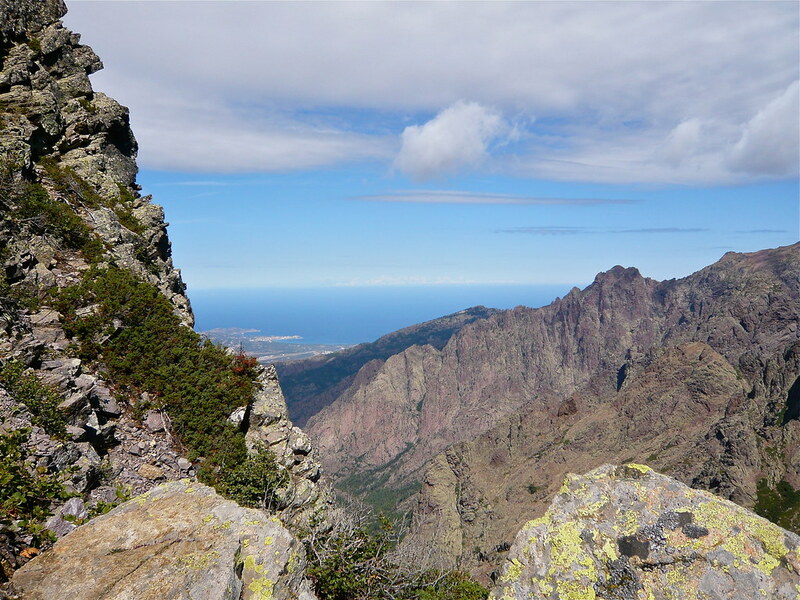 The GR 20 (or fra li monti) is a GR footpath that crosses the Mediterranean island of Corsica running approximately north-south, described by the outdoor writer Paddy Dillon as “one of the top trails in the world”. The railway station in Vizzavona. A hiking boot, found just before the last refuge before arriving at Conca – the southern end of the trail. The whole trail is about 180 km long, clearly waymarked throughout, the walk for most people takes around 15 days. 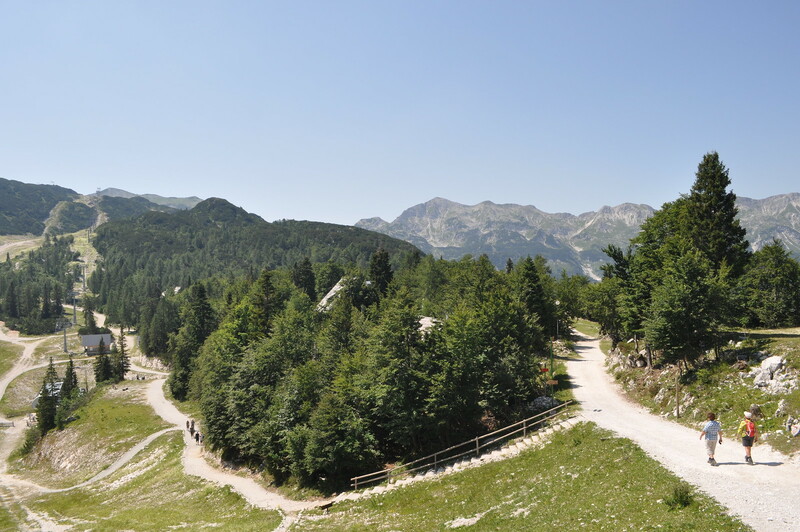 The trail is usually considered as two parts: the northern part, between Calenzana and Vizzavona and the southern part, between Vizzavona and Conca. Vizzavona is considered the middle as there is a train station, and therefore is an accessible point for walkers beginning or ending a walk consisting of half the route. From Vizzavona, the train can be taken to Bastia or Ajaccio as well as many smaller towns and villages such as Corte. The northern part is considered by some the more difficult part, because of the steep and rocky paths, though this could be an effect of many walkers beginning in the north and not being as fit for this section. The southern part of the trail is often considered easier though the lower altitude may give rise to higher temperatures in summer and so provide more difficult walking conditions. TREK 26 – The Laugavegur Trek starts in Landmannalaugar, a geothermal paradise globally known for its steaming hot springs and colorful rhyolite mountains. From there we make our way deeper into the highlands where we are greeted with glaciers and glacier rivers, black sands, hot springs, waterfalls, geysers and volcanoes. 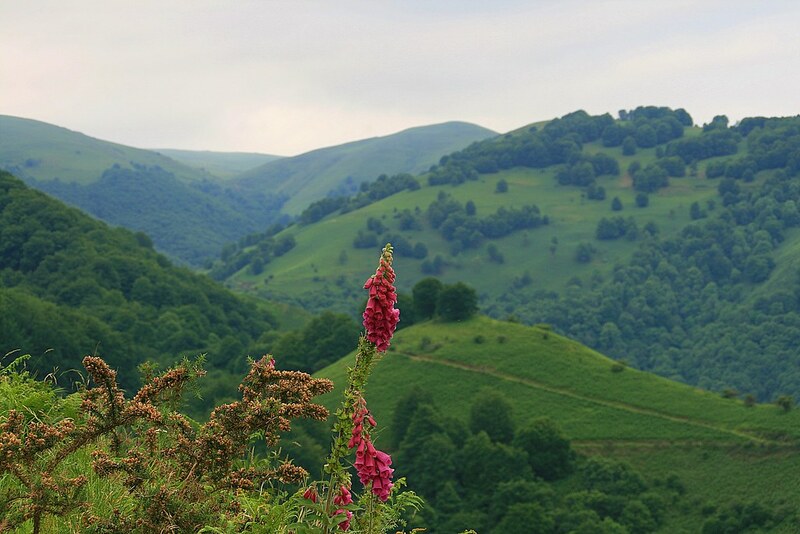 Scenery and landscapes throughout the trek are truly breathtaking. With numerous stunning natural features in every step and views over mountains and glaciers as far as the eye can see. While absorbing everything Icelandic nature has to offer our guides will tell you about these mysterious areas, the landscape, flora, fauna and folklore tales that Icelanders have been brought up hearing throughout the centuries. Transverzala (Long-Distance Trail), is a route from Maribor to Ankaran. It covers most of the Slovenian mountain areas including Pohorje, the Julian Alps, the Kamnik-Savinja Alps, the Karawanks, and the southwestern part of Slovenia. It is the oldest hiking track in Europe. These are the trail’s current features: Control points: 75; Length: 599 km; Total ascent: 45.2 km; Total descent: 45.5 km. 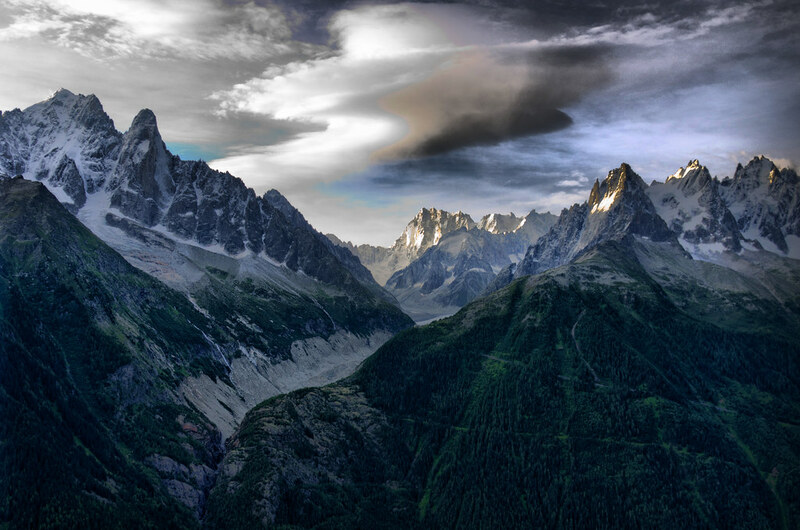 The Haute Route, (or the High Route or Mountaineers’ Route) is the name given to a route (with several variations) undertaken on foot or by ski touring between Chamonix in France and Zermatt in Switzerland. First charted as a summer mountaineering route by members of the English Alpine Club in the mid-19th century, the route takes around 12+ days walking (or 7+ days skiing) for the 180 km from the Chamonix valley, home of Mont Blanc, to Zermatt, home of the Matterhorn. Originally dubbed “The High Level Route” in English by members of the hiking club, the term was translated into French when first successfully undertaken on skis in 1911. Since then the French term has prevailed. While the term haute route has become somewhat genericized for any of the many multi-day, hut-to-hut alpine tours, the “Chamonix-Zermatt Haute Route” remains the original. 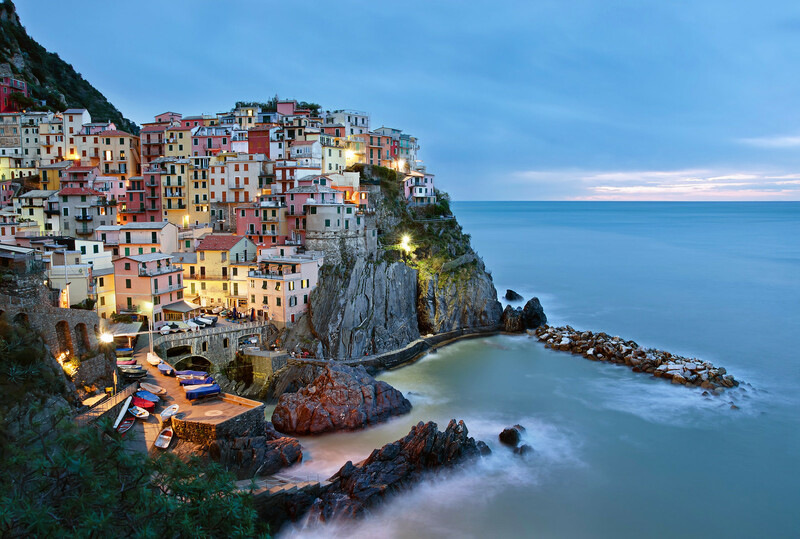 Cinque Terre is a series of five picturesque villages dotted along the Italian coastline, right by beautiful Tuscany. Backed by lush green hills and connected by a narrow path carved into the cliff-face, you can hike between all five in a day. That is, if you’re moving at a fast pace. Hiking Austria’s mountains not only offers some of the most beautiful scenery in the world, but it also allows you to get to know the country’s people and traditions along the way. No matter whether you challenge yourself and tackle the main route on a week-long tour, or if you prefer choosing a couple of more easy-going day trips, the 256.6 mile long Eagle’s Walk takes you on the hike of a lifetime. Broken up into 33 stages with a total elevation gain of 19 miles, this long-distance trail accommodates a wide variety of skill levels and hiking preferences. 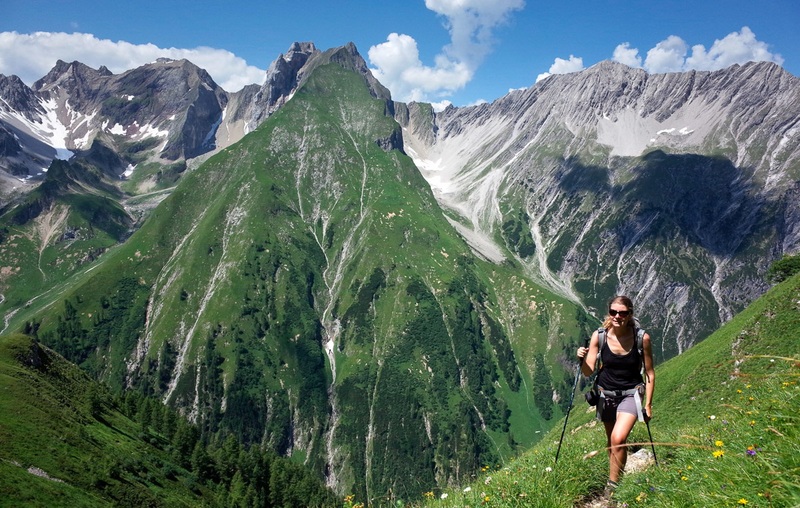 Best of all, the Eagle’s Walk is easily accessible from several holiday regions across Tirol. 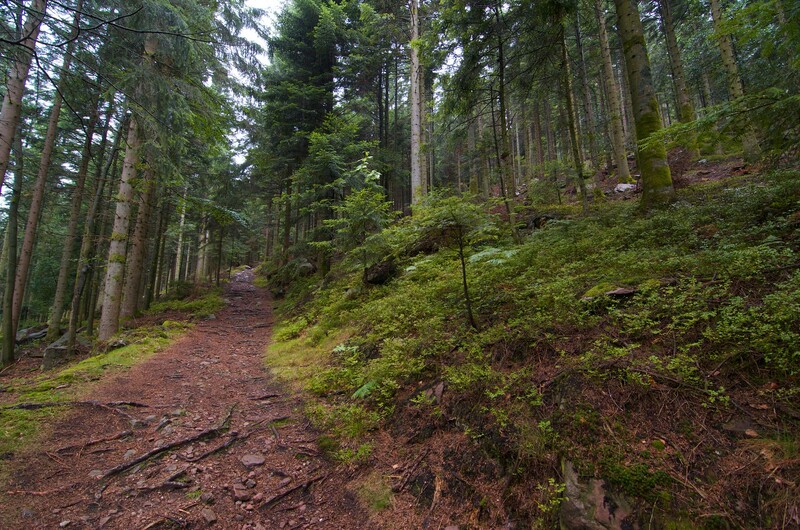 The Westweg (“West Way” or “West Trail”) is a long-distance hiking trail in Germany, running north-south through the Black Forest from Pforzheim to Basel. The trail was founded in 1900. The Westweg is a part of the European Long-distance Trail E1 (North Cape, Norway – Sicily) The route passes through or near numerous villages or small towns, so there is no difficulty in finding overnight accommodation and meals along the route. It would actually require more planning to walk it while staying in youth hostel-type accommodation, or camping. There are a number of services that will transport your luggage to the next accommodation by vehicle, leaving the hikers with only their daypacks for the hike. The route can be accessed at several places along its length by road or public transport, so it is easy to walk part of it or to do day walks along its route. 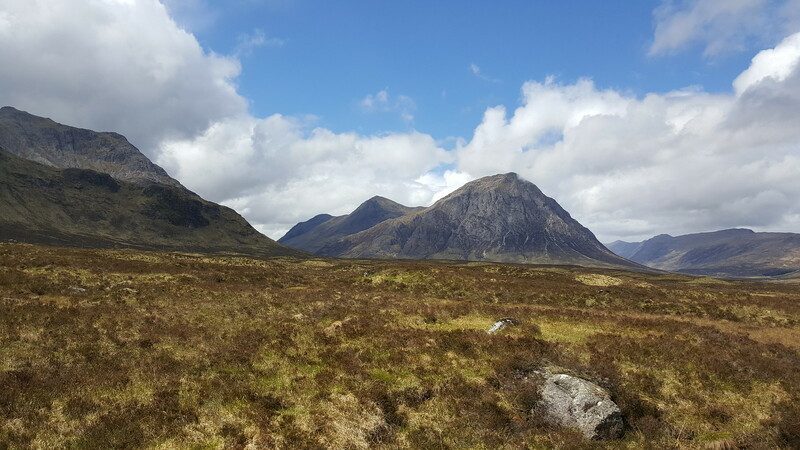 The West Highland Way (Scottish Gaelic: Slighe na Gàidhealtachd an Iar) is a linear long distance footpath in Scotland, with the official status of Long Distance Route. It is 154.5 km (96.0 miles) long, running from Milngavie north of Glasgow to Fort William in the Scottish Highlands, with an element of hill walking in the route. It is managed by the West Highland Way Management Group (WHWMG) consisting of West Dunbartonshire Council, Stirling Council, Argyll and Bute Council, Highland Council and Loch Lomond and The Trossachs National Park Authority. About 80,000 people use the path every year, of whom over 15,000 walk the entire route. 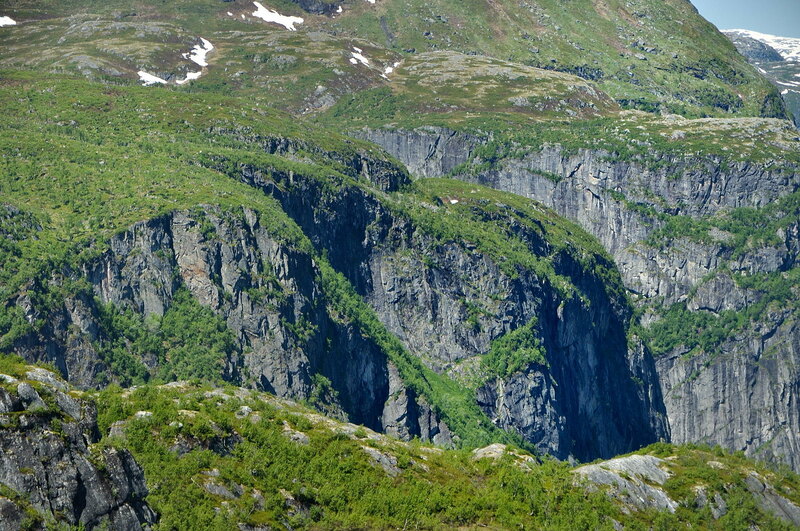 The Hardangervidda National Park Route, which takes you on the exciting journey between the east and west of Norway, is the perfect gateway to the fjords. A journey down the delightful small roads of Telemark, in the heart of Norway and at the borders of Hardangervidda. A journey through outstanding scenery, with lots of things to do and see. A journey back in time, to the roots of Norwegian folk culture and early Norwegian industry.